I was there last week at Universal Studios Singapore. But it's not opened yet! I could only see this! Wait for the news! I think they would open it by the Lunar New Year? i wanna go! heard its gonna be damn expensive. think it will be SGD66 for weekday pass. 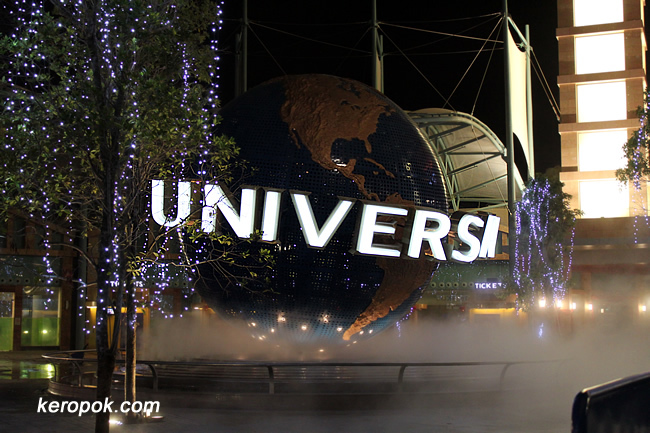 I am surprised that Singapore has its own Universal Studios. This is what Asians are waiting for. so good.... u got invited to an exclusive preview right?